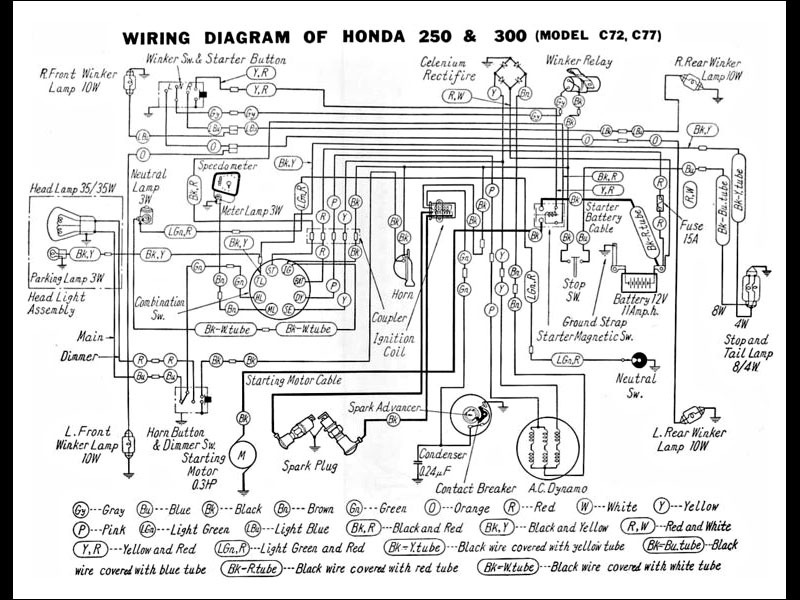 Don't let the cb72 electrical diagram intimidate you. The starting system consists of just a few key components. You have the battery which connects directly to the starter solenoid which connects directly to the starter motor. That's it! Check out my Starter Solenoid Service thread here and next go through your starter to make your system failsafe. Who wants to use a kick starter? especially the weird on on this CB72 which gets in your way and kicks forward. I took my kick starter off completely as it gets in the way and others have told me that they did the exact same thing. Follow along as I spend some quality time going through my CB72 starter motor from head to toe. It's easy and doesn't take any special tools at all. I highly recommend that you have a workbench vice! They are invaluable. Get a cheapo one or use a friends garage that has one. This is the only large tool that you really need to do this. Force must be applied to remove the bearings from the output shaft and also to hold the body of the starter motor while you remove and re-install the armature inside of it. More to come, time for a break. I did a REALLY thorough job of servicing the starter with some great pictures. I replaced the main bearing which is the sole cause of decreased starter performance and annoying noises. 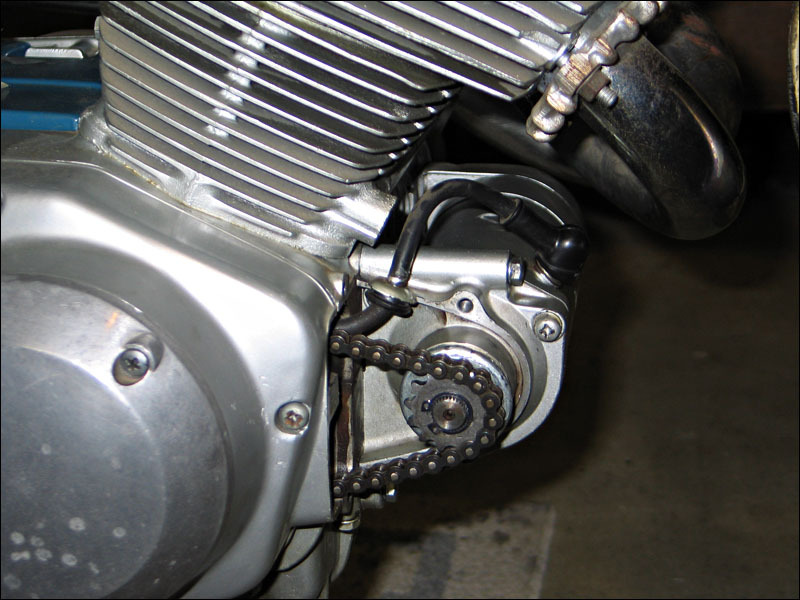 There are TWO main bearings that guide the armature end that is nearest of the sprocket. I didn't realize this until I tried to press out the first one. It really seems as if there is only one until you take it completely apart. Pictures and info coming soon this week.